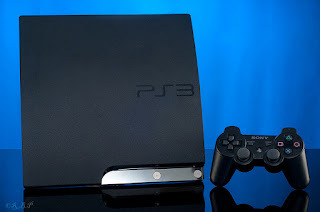 This article is for those users who are facing issue in logging into PlayStation Network (PSN) on their PS3 gaming box due to DNS error 80710102. Users face this error while playing on PS3. One of my friend faced this issue while playing Need for Speed. At first it connected to EA but suddenly after some time it disconnected and showed DNS error. Remember It doesn't mean that your Play Station is not connected to Internet. If you're disconnected quite often then it's DNS error. You can try to reboot your PS3 or modem to get rid from this issue but most of the times it won't work. So today here I am explaining how you can solve this problem. Just follow the steps given below one by one. This is the best method that should work for you. Simply change the DNS value on your PS3. Navigate to Settings>>Network Settings>>Internet Connection Settings. Now in Internet connection setting option, simply select Yes and then Custom. After that choose connection method, it can be either wired or wireless. For a wired connection, select Auto-Detect for the Ethernet operation mode. For a wireless connection, simply go for security type, your wireless network network uses and then enter your password. Now it comes to IP Address Settings, tap on Automatic and then choose Do Not Set for the DHCP host name. Then set DNS settings to manual as it will allow you to enter DNS manually. After that enter primary and secondary DNS value as given below. Some additional setting is required, do the same listed below. MTU should be set to Automatic. After that tap X to save settings and one more time to test the connection. So this was all about how to fix PlayStation dns error. If you still have any doubt or query then feel free to leave a comment below in the comment section. on my ps3 for the primary and secodary dns there are only four number slots so what should i put?